Thank you to Good Day Columbus for having us on their morning Back to School segment today. 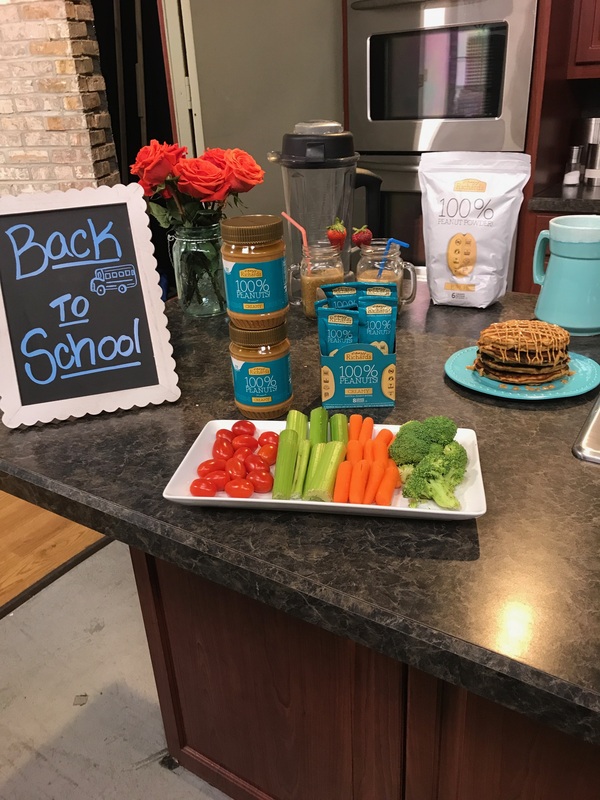 We discussed delicious and healthy snack options for kids pre and post school. View our morning segment here. We hope you and your family enjoy these quick and easy recipes! Spread peanut butter down the middle of the flatbread/tortilla reserving about a teaspoon for later. 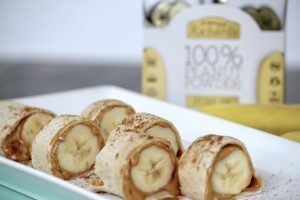 Place banana on top of peanut butter and roll up flatbread. Spread remaining PB on outer edge of flatbread to create a seal. Slice into pieces resembling a sushi roll and serve. Mix all together and keep refrigerated. Serve with any variation of fruits and toppings! Mix wet ingredients and dry ingredients separately and then combine. Cook on hot griddle or skillet and refrigerate overnight. 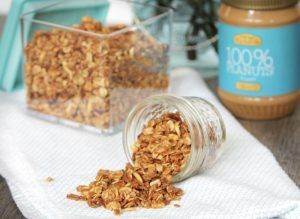 Warm up for a quick and easy hot breakfast before school and top with drizzled peanut butter. 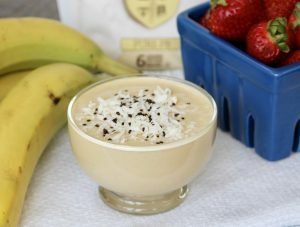 This recipe is tasty and refined sugar free! 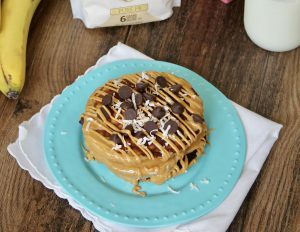 Can substitute flax egg, nut milk and maple syrup to make this recipe vegan. 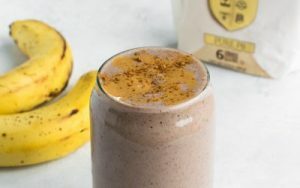 Add all ingredients to high-powered blender and blend for 1-2 minutes, or until it reaches a smooth texture.